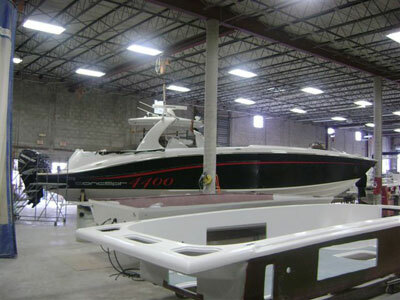 Here are first images of the new Concept 4400, taken at Concept Boats plant in Opa Locka, Florida. The official unveiling will take place at the Fort Lauderdale Boat Show. 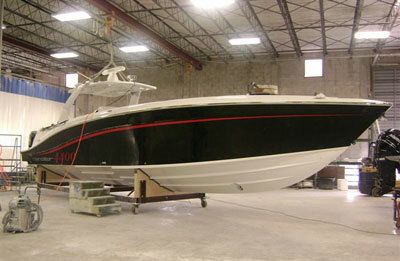 At 44 feet long, the Concept 4400 is one of the largest center console large beam boats on the market today. The Concept 4400 is powered by triple or quadruple outboard engines for better fuel economy. Features include one level deck design, a twin stepped hull, generous space deck design, luxurious cabin, and “wood free” construction.